NaturesOwn X9000 FRM (fiber reinforced matrix) is produced, patented, designed and tested to tackle the toughest erosion control projects in the industry. Strong natural fibers are homogenized with a tackifier to ensure erosion control success without restricting natural growth. 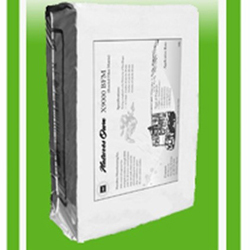 This product was designed to withstand heavy rains over a long period of time on steep slopes. It is HMI’s premium product.